If you are looking for storage in NYC Bronx, there are several companies to choose from. However, there is only one company that has been leading the self storage industry for over thirty years by offering NYC residents the highest quality storage at the lowest prices. That company is Moishe’s Self Storage. Stop by our walk-in Bronx facility to see the Moishe’s difference for yourself, or continue reading to discover exactly why Moishe’s Self Storage is your best choice. All of Moishe’s Self Storage facilities are modern. Our self storage units were constructed with the highest quality materials. We spared no expense to make sure that our services were worth both your time, and your money. With storage units starting as low as $29, you don’t have to break the bank to find a solution to your space limitations. Moishe’s currently has some of the lowest prices in the NYC and surrounding area. 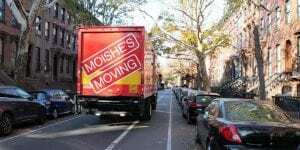 With Moishe’s, you get the highest quality for the lowest price. What more could you ask for? Our units range from 5 X 5 ; 5 X 7 ; 5 X 10 ; 6 X 10 ; 8 x 10 ; 10 X 10 ; 10 X 12 ; 10 X 15 up to 10 x 20. The 10 X 10 units are large enough to store the contents of a one bedroom condo or apartment, and the 10 X 20 unit is large enough to store the contents of a three to four bedroom house. One amenity that is almost a must-have is spacious elevators with wide doors. Moishe’s Self Storage facilities feature elevators that are double-wide and can fit the most awkward of furniture sizes. All of our facilities are equipped with top-of-the-line security systems and procedures. 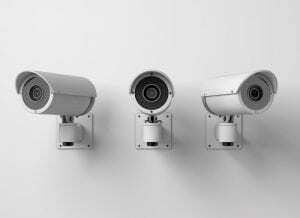 Our video monitoring equipment is keeping a close eye on your personal valuables. On top of being secure, each Moishe’s Self Storage facility is safe against inclement weather and damage from precipitation, fire, and heavy wind. You may assume that every storage facility protects against weather damage, but you would be surprised at how many budget storage facilities do not provide guaranteed protection against such things. Come hurricane season and the snowy NYC winters, you will be glad you chose a secure storage unit and facility. Contact us at Moishe’s Self Storage to learn more about our specials, services and prices! Moving and navigating storage options can be stressful, but with Moishe’s Self Storage on your side, it doesn’t have to be!